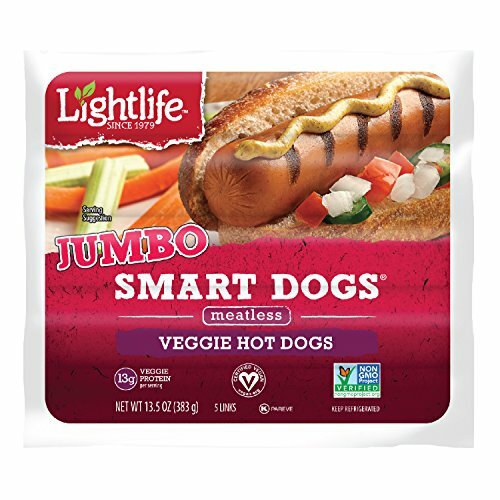 Looking for some vegan hot dog brands to try? We’ve compiled over 7 that you need to check out ASAP – especially if you love hot dogs. Field Roast makes pretty good vegan meats, and these are no exception. They have a very nice texture, they’re not too soft and they don’t have any weird crunchiness to them, which can sometimes happen when using vegetables as a base. 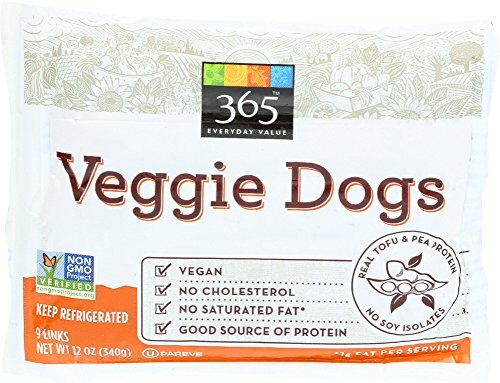 They have a nice smoky flavor and can be microwaved, though they taste better on the grill Some people complain about them having a weird smell but that’s mainly from microwave cooking. Filtered Water, Vital Wheat Gluten, Expeller Pressed Safflower Oil, Organic Expeller Pressed Palm Fruit Oil, Barley Malt, Naturally Flavored Yeast Extract, Tomato Paste, Apple Cider Vinegar, Paprika, Sea Salt, Onions, Spices, Whole Wheat Flour, Garlic, Natural Liquid Smoke, Caraway, Celery Seed, Ground Yellow Mustard and Paprika Oleoresin. This small brand has made a big name for itself. It’s a small family owned and operated company, and quality is always number one. These franks will remind you of those incredible hot dog stand hot dogs. They have a texture very similar to the real deal, and the taste is indescribable it’s so good. These hot dogs have overall a good taste. There are little things here and there, like a slight aftertaste, or a weird smell while cooking, but most people don’t experience any of those. 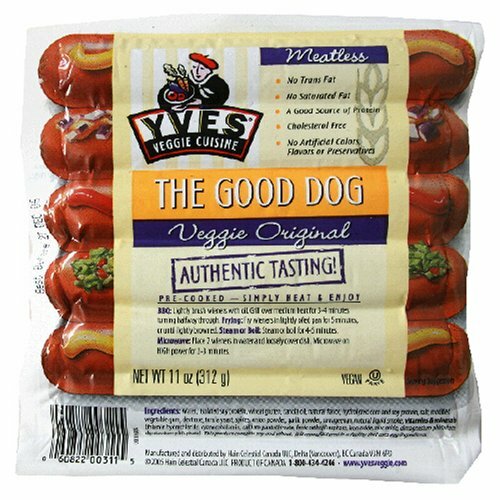 They have a traditional hot dog taste, so if you want something that tastes like the real deal, something you would buy in the meat section at the store, these are your guys. But that also means there’s nothing really special about them, no extra flavor. Tried and true Tofurky come through again. These are jumbo dogs so they’re huge, which means more room for toppings and fixings. Although this dog would be great without all the extras. It has a naturally smoky flavor, so it’s great on the grill. They’re very filling and it cooks super fast. Water, vital wheat gluten, expeller-pressed non-GMO canola oil, pea protein, organic tofu (water, organic soybeans, magnesium chloride, calcium chloride), spices, sea salt, onion powder, organic cane sugar, natural vegan flavors, oat fiber, cargeenan, konjac flour, natural smoke flavor, granulated garlic, wheat starch, paprika and annatto. These have a very smoky flavor. They’re naturally dense and thick so they’re very filling. These taste best on the grill and honestly, you can’t even tell the difference between this and the real deal. They’re served best with beans and coleslaw or something like that, to really give you the backyard cookout flavor. Water, isolated soy protein, vital wheat gluten, canola oil, spices, hydrolyzed corn protein, salt, natural flavors (contains autolyzed yeast), modified vegetable gum, dextrose, dehydrated onion & garlic, vitamins & minerals (thiamin hydrochloride, cyanocobalamin, calcium panthothenate, ferric orthophosphate, iron oxide, zinc oxide, dimagnesium phosphate, dipotassium phosphate), carrageenan. Your favorite affordable Whole Foods option made the list. These are kind of like Target store brand foods, not the real thing, but definitely, the better option if you’re on a tight budget. They’re pretty good, they can be a little chewy but that can be fixed by trying the different cooking method. They have a nice savory taste, and again, they’re affordable so you can’t beat that. Water, Vital Wheat Gluten, Pea Protein, Tofu (Soybeans, Magnesium Chloride), Pea Starch, Natural Flavors, Organic Cane Sugar, Salt Blend (Sea Salt, Potassium Chloride, Magnesium Chloride, Magnesium Sulfate), Expeller Pressed Canola Oil Garlic Powder, Onion Powder, Tomato Lycopene (For Color), Carrageenan, Red Pepper. So, these special guys are made in Germany the “artisanal” way. Even if they weren’t they would still be amazing. They a very thick and juicy and have a wonderful spice profile. You can actually taste the spices they’re not just listed on the ingredients for fun. They’re not too expensive either so that’s a plus. Tofu (organic soybeans, water, nigari), water, organic wheat protein, organic sunflower oil, organic bell pepper, organic tomato paste, spices, bell pepper flakes, sea salt, raw cane sugar, garlic, herbs, locust bean gum, almond flour, celeriac, onions.